The Great Barrier Reef has a length of more than 2000km and is situated to the East of the Australian mainland in a distance of up to 300km from the coast. Iin the latitudinal direction it reaches from around Lady Elliot Island near the Tropic of Capricorn in the South to Torres Strait in the North. Torres Strait is the name of the part of the Pacific Ocean between Australia and New Guinea. Great Barrier Reef is the largest reef system of the world and as well the tallest building made by living organisms. Some call it the largest living thing on earth and indeed it is the only living structure that can be seen from space. In order to protect this unique natural and ecological system the Great Barrier Reef was declared World Heritage on 26th October, 1981. Corals are produced by marine polyps of the Coelenterata family. You must distinguish between hard and soft corals. 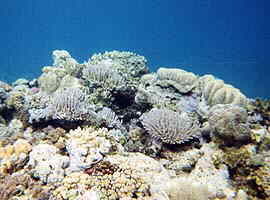 The hard coralsare built by lime excretions of the small animals, which remain after the polyps' death. Step by step the coral structures grow, because new polyps settle on their predecessors place. The corals of the Great Barrier Reef are up to 18 million years old but most of them date back 2 million years. 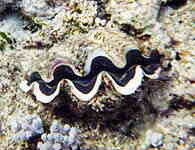 Polyps are very sensitive animals. Mainly the water's temperature, salinity and visibility decide whether polyps can settle down or not. Only living polyps count for the marvellous colours the reef is famous for. The dead material has a white colour. A water temperature of at least 17,5° Celsius is necessary for the growth of corals. Therefor the Great Barrier Reef cannot reach further to the South than around the Tropic of Capricorn. The visibility of the water counts for the amount and depth of the penetrating sunlight which is needed for existence of polyps. Hence corals can only grow in depths up to 30m, because in the deeper parts of the water there is to less light. 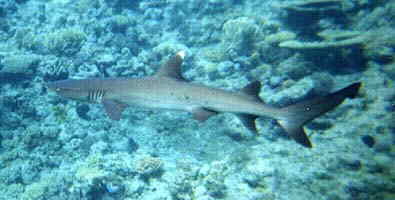 In reality the region that is called Great Barrier Reef exists of about 2600 seperate reefs. You must distinguish between fringing reefs off sloping sides of the mainland and islands and barrier reefs farther out to the sea. The real barrier reef is found behind the edge of the continental shelf and is seperated by an arm of the sea that can be up to 60m deep. The region of the Great Barrier Reef exists of about 600 continental islands and 350 coral cays. 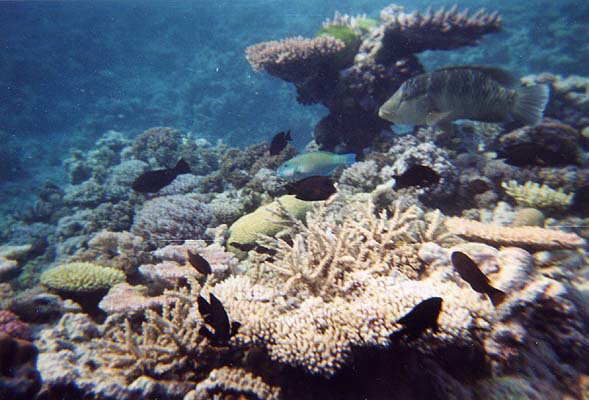 The Great Barrier Reef is habitat to huge numbers of living things. 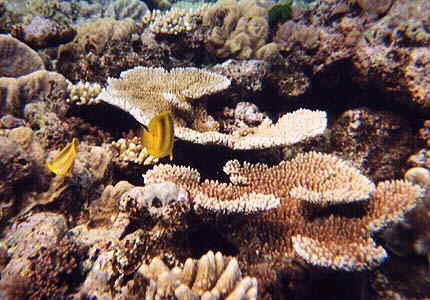 There are about 400 different kinds of corals as well as approximately 1500 different species of fish. In addition there are 4000 types of mollusc, 350 echinoderms and umpteen thousands of species of sponge, worm and crustacean. The largest living things moving through the reefs are dugongs und humpback whales. Along the shores and beaches you will find countless seabirds and six of the world's seven species of sea turtle.